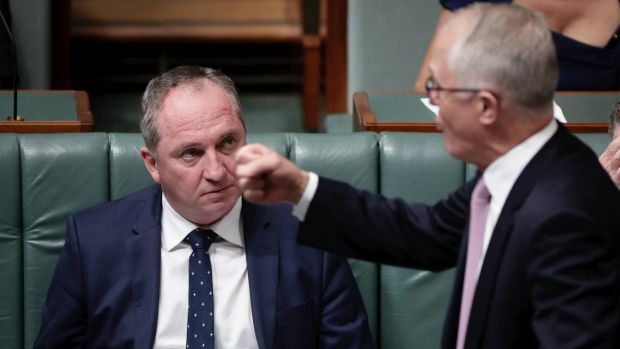 As Australia seemingly cares about Deputy Prime Minister Barnaby Joyce’s affair with a former staffer, here’s a quick look at what the Barnaby Joyce saga has distracted Australians from. 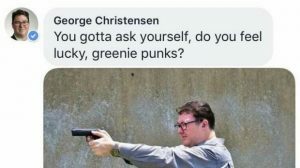 The Greens Party’s Sarah Hanson-Young has condemned the National’s George Christensen for posting an image of himself holding a gun on Facebook with the caption “you gotta ask yourself, do you feel luck, greenie punks?”. Despite removing the controversial post at the request of Nationals leader Nigel Scullion, Christensen has hit back saying that it was a reference to the 1971 crime thriller Dirty Harry. Queensland Police have confirmed that no offence has been committed while the Australian Federal Police are reviewing a referral from the Greens. 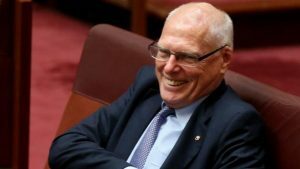 Once again leftists are outraged at right-wing politicians, with newly sworn in Nationals Senator Jim Molan being criticised for retweeting posts from the “Britain First” group over a year ago. Despite such political controversy, the New South Wales replacement for Fiona Nash has delivered a strong maiden speech calling for reductions to immigration in addition warning of an impending conflict between the United States and China. The retired Australian Army General has also recently received an apology from the Green’s Adam Bandt over defamatory comments made about Molan’s military involvement in Iraq. Prime Minister Malcolm Turnbull’s coalition government could once again be on the rocks with the High Court set to rule on whether Nationals MP David Gillespie has breached the constitution from an indirect financial interest in the Commonwealth. 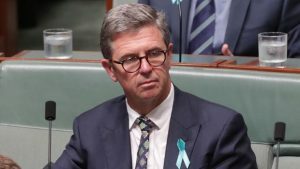 Gillespie is facing a legal battle costing upwards of $500,000 after the defeated Labor candidate from the 2016 election filed suit over the MP’s now former ownership of an Australia Post outlet in Port Macquarie. Although the Australia Post outlet has just been sold off by the MP, a by-election will be held in the event the government’s lawyers fail to quash the High Court bid to rule Gillespie ineligible under Section 44(v) of the Constitution. 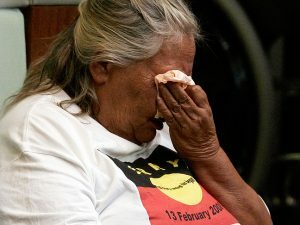 A decade ago on 13 February 2008, Australian Prime Minister Kevin Rudd gave a landmark speech in Federal Parliament offering an apology to the Indigenous Australians over previous government’s forced removal of children from their families. Current Prime Minister Malcolm Turnbull has been criticised by Indigenous groups for only making a brief appearance at a Canberra event marking the occasion. Leaving the speeches at the event to Indigenous Affairs Minister Nigel Scullion, the Prime Minister later spoke in Parliament’s Question Time about the suffering endured by Indigenous Australians. The Federal Government has also not ruled out establishing a compensation fund for survivors of the Stolen Generations. This article has also been published at The Typewriter.